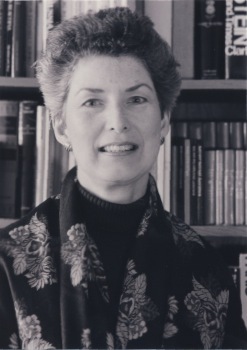 Marian Fowler was born and raised near Toronto. She graduated from the University of Toronto with an honours BA in English Literature and the Governor General’s Gold Medal in English, later completing her PhD with a thesis on Jane Austen. She taught at York University for twelve years and has lectured widely in Canada, the United States, Britain, Italy and Sicily. She is the author of seven books of biography and social history, including The Way She Looks Tonight: Five Women of Style and Hope: Adventures of a Diamond. She has also written for Saturday Night, City and Country Home, The Beaver, The Globe and Mail, the Oxford Companion to Canadian Literature and the Dictionary of Canadian Biography. She’s been a fashion buff all her life, and for the past thirty years has haunted flea markets, antique shops, auction houses and thrift stores in pursuit of vintage designer apparel and costume jewelry. She resides in Toronto and spends part of each winter in the resort where fashion rules, namely Palm Beach.